Who are law librarians and what do they do? Law librarians are legal information professionals. They work in a variety of library settings including law firms, law schools, courts and other government organizations, and the legal departments of businesses and associations. Law librarians perform tasks such as researching, analyzing, and evaluating the quality, accuracy, and validity of sources; teaching and training; writing; managing; and procuring and classifying library materials. Law librarianship offers many niches and specializations that provide opportunities to enhance job satisfaction. Examples include foreign and international law, government documents, patents, taxation, computer-related services, library administration; and special collections such as archives and antiquarian books. Would I like being a law librarian? Making an informed decision concerning a law library career requires an understanding of law librarian qualifications, responsibilities, compensation, and employment prospects. The AALL Career Center lists current law librarian positions in all the main library settings. How can I find a law library job? Law libraries advertise positions in many places, most of which are readily accessible on the web. The best places to look depend on the type of position you seek; law schools and some governmental entities usually advertise nationally, while state, county, corporate, and law firm positions tend to advertise locally. The leading source for identifying nationally advertised positions is AALL's Career Center. Locally advertised positions often appear on AALL chapter websites. 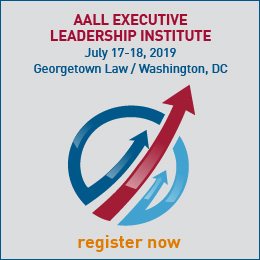 AALL chapters are organized by geographic areas such as states, cities, or other regions, which allows you to focus your search on a geographic area of interest. In addition, some law library jobs, such as law firm and corporate positions, are advertised on the Special Libraries Association and American Library Association websites. 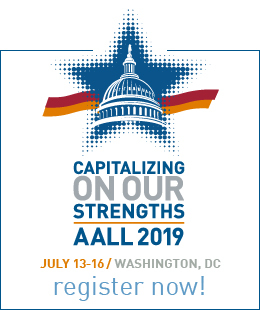 AALL facilitates in-person interviews through the AALL Career Center at AALL's Annual Meeting held each July.